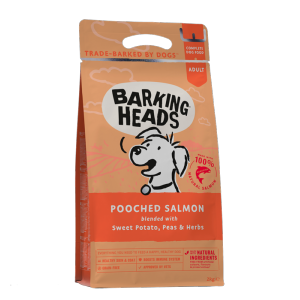 Pooched Salmon is a complete balanced, nutritionally-positive food for adult dogs. The sweet potato is rich in antioxidants and anti-inflammatory nutrients as well as stabilising blood-sugar levels and lowering insulin resistance. Also, there’s nothing artificial in the bag. Just tasty, lovely, natural ingredients!